Ahhh.... Love is in the air...Yup, it's that time of the year again, the valentine's day is just around the corner! which lead me to write this posting (ok ok I confess, I am drinking captain morgan & diet coke while writing this! can I have a lil drink while fantasize about Channing Tatum? mmmkay! haha). Also what' makes this year's Valentine's day extra special is that it's on the same day as the Chinese New Year!! so it's "Double Happiness"! "LOVE" is something that everyone wants or dreaming about & willing to search to the end of the world to find it, That's why all the major movie studios spends big money to crank out romantic movies to capture this almost "Dream like sensation/idea" we call "LOVE" and had us keep coming back for more! Some are romantic & funny, some you'll need to bring a box of kleenex Tissues to the movie theater & cry your eyes out LOL. 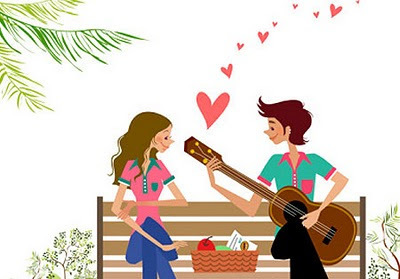 So in this posting, I will be chatting about "Love" and some of my all time favorite Romantic Movies to share with y'all ! So what is "Romance"? Historically, the term "romance" did not necessarily imply love in relationships, but rather was seen as an artistic expression of one’s innermost desires; sometimes including love, sometimes not. "Romance" in this sense can therefore be defined as attachment, fascination, or enthusiasm for something or someone. So many times in relationships we are consumed with the "romance" and think we are “IN LOVE”… maybe we should step back and think about this for a moment. I have never been a person to really throw around that powerful 4 letter word called LOVE lightly! For me, this magical word should only be said when you really mean it, say it with the most sincere intention! using this word lightly then it will lost its "magic"! it's just my opinion. Simply put, The Notebook is the tale of the kind of love that most of people, including myself dream of. The perfect, everlasting, unconditional kind of love that conquers all. It is a movie that will evoke every emotion that a good, old fashioned romantic movie should. Expect plenty of tears even if you are not the kind of person who cries easily. If you are expecting a love story with plenty of twists and turns, The Notebook is NOT it. It has a simple but beautiful story. You know exactly what's coming but you cannot stop watching. I am not sure how many of you can convince your boyfriend or husband to watch this with you but I will say that this is the perfect movie for a girl's night in! order some pizza, light some candles & pop open a good bottle of wine to enjoy this movie. 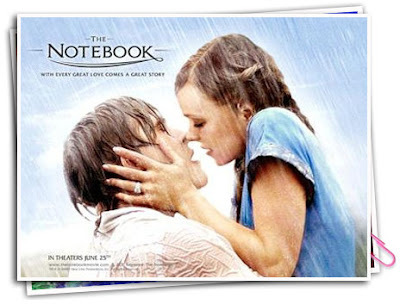 The Notebook is a beautiful, sentimental movie…corny and mushy in parts, cliché even but I enjoyed every minute of it! There is something magical, fascinating and unforgettable about this love story. 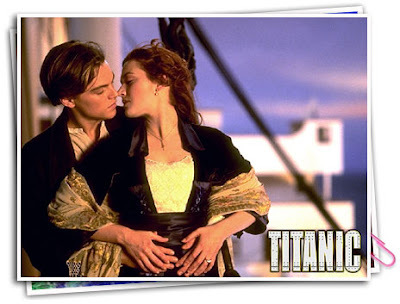 Leonardo di Caprio is the poor boy Jack, and Kate Winslet is the rich but unhappy girl Rose. They meet each other and experience a love so strong that most of us have never seen something like it. I can assure you that you will cry while watching this sad but extremely beautiful movie, which has also won 11 Academy awards. Of course how can we not mention of the beautiful theme song of this movie "My heart will go on" sing by the world super star Celine Dion. I can listen to this song over and over again and still brings tears into my eyes! such a beautiful song! Ah... how I love this movie!! two handsome cow boys falls in love..... I just love a hot cow boy! haha. 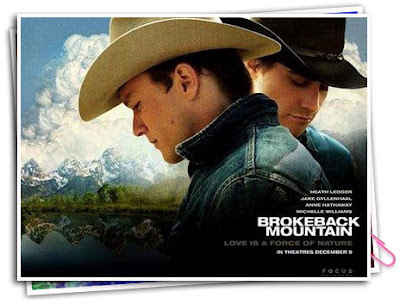 Heath Ledger and Jake Gyllenhaal gave the Oscar worthy performance in this beautiful movie! the love between two men is no less than the traditional love that's between a man & women. I've always believe LOVE is love! no matter if you are straight or gay. The sad ending always gets me! Too bad we've lost the super talented Heath Ledger, may he rest in peace and thank you for giving us this beautiful movie to remember you! Reese Witherspoon plays the small town girl who moves to New York city and gets a career & became a successful fashion designer. She’s getting marry to a "JFK Jr." kinda handsome powerful guy who loves her dearly, but first she needs to divorce her teenage love from the hometown in Alabama, which isn’t as easy as one could think. Who can resist a handsome country boy play by Josh Lucas? that piercing blue eyes, killer smile and ever so charming southern accent just makes me melt! LOL Josh! if Reese doesnt' wanna marry you, I do ! I do! Sandra Bullock is falling in love with a man who buys subway ticket from her everyday, one day he fell in the subway rail track & become unconscious. The story gets complicated since his family thinks that she’s his girlfriend. It gets even more complicated when the guy’s brother, Bill Pullman (OMG!! I Love him in this movie... sooo handsome in a guy next door kinda way, YUM!) is falling in love with Bullock. This is a sweet and easy-going movie that you should see at least one time! as for me, I've seen it 10 times and at the end of the movie, I still have teary eyes! OMG!! if you call yourself a "Romantic Comedy" fan and have not yet seen this movie, then you should be ashamed of yourself!! 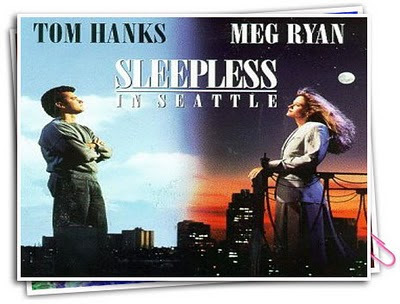 haha.... ok, Tom Hanks and Meg Ryan are playing the lead characters in this extremely funny and entertaining movie. This is one of those classic romantic movies that EVERYONE need to at least see it once! sniff sniff.... I LOVE this movie! This is a really sweet story about a girl, played by Drew Barrymore, who has never been kissed. She meets a guy (happened to be her teacher), Michael Vartan and falls in love with him but the story is complicated. This is a movie that will make you smile and feel with the characters. It’s a terrific love story! watch out for the ending! If you didn't laugh while having a teary eyes, then ... then ... you're not human! haha! (OMG! can I say Michael Vartan is such a HOTTIE!!? everytime I saw him in this movie it makes my knees weak!! 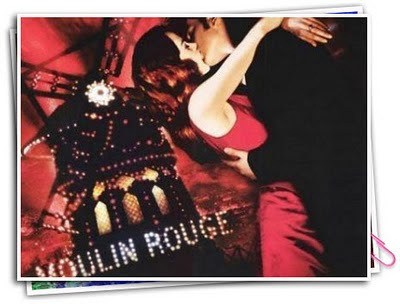 Beautiful costume, story & of course the stunning Nicole Kidman and super handsome Ewan McGregor stars the film. I just love musicals and this "dream-like" fantasy epic love story, especially at the end of the movie when Nicole Kidman sings to McGregor before she dies... makes me cry every time! ahhh... L'Amour L'Amour ! There are two things a woman knows: what she's looking for and what she'll settle for. I love this movie! 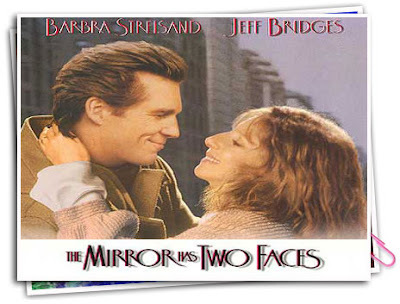 yes, besides the DREAMY Jeff Bridges.... it's a grown up kinda love story! of course it's done in Barbra Streisand's favorite story plot... ugly girl turns into a self confident beautiful woman and lands herself a handsome man! haha but seriously, it's a beautiful love story! it's a must see! You'll LOVE the ending!! Girls, this magical thing we call "LOVE" is everywhere! some people search high & low but can't seems to find it, some just met him/her at the supermarket. It happens differently for different people. We are and will forever be enthralled by it, dazzled by it. We are constantly on the look out for love. We see people love, we want the same thing ourselves. One person’s love is never the love of another. We fantasize about other people’s romance but we don’t realize that this is wrong, our own love will happen and it will never be like anyone else’s. last nite I was web surfing and saw this very charming video presented by Vanity Fair & Banana Republic as part of the film independent's project: Involve Program. It's a short film about a guy name "Handsome" & a girl name "Belle" just might fall in love, if fate doesn't get in the way first! so, after seeing all these romantic movies trailers, I hope your hearts are filled with love and optimistic hopeful feelings that YOU can find & have love that's perfect for you! No matter if you are single, separated, widowed singles, or you are currently happily in love with your lover, never loose hope! Even tho I am already 37 years old, I still believes in the star, moon & magic all those good stuff! 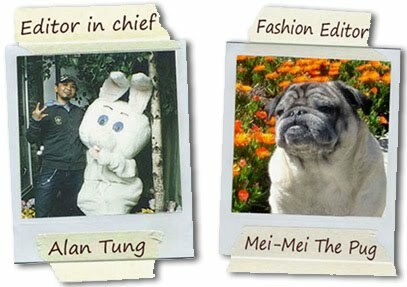 and I hope this little blog posting will inspire or re-light that "hope" for love in your heart! To end this posting I would like to share with you this video... when you think of romance, magic & happy ending what pops into your mind usually? Disney ! I love this video, yes, it's cheesy, pink and princessy but we all can dream a little sometimes even we are an adult already who are so busy with the daily lives & we often forget to "Dream a little" !! Enjoy! Remember! In order to receive love, you need to first LOVE yourself! have an open heart to welcome love into your life! If you can't love yourself first then how do you expect others to love you right? Brightest blessing for all of you all over the world.... may you be surrounded by love every moment in your life!